Grandmaster March began training in Tang Soo Do in 1965 with Grandmaster David J. Praim, and is the Head Instructor of Mike March's Korean Karate and President of the United States Korean Karate Association, which he founded in the mid-1970s. Grandmaster March was also a member of the Michigan Board of Directors of Karate Institute and the United States Tang Soo Do Moo Duk Kwan Federation. He personally trained with the late Great Grandmaster Hwang Kee, the Founder of Tang Soo Do Moo Duk Kwan and was promoted to 4th Dan by him in 1976. He also started the first Korean Karate class for college credit in Michigan at Western Michigan University in Kalamazoo, MI. Ranked in the Top 10 by Official Karate Magazine, Grandmaster March was one of the nation's best fighters when he was actively competing in the '70s and early '80s. As a member of the elite Karate Institute Competition and Demonstration Team he won over 250 State and National competitions in point sparring. He was the Captain of the "Detroit All-Stars", the Midwest National Black Belt competition team that won the East Coast and Mid-West Team Championships and were undefeated for four years. All five members of the team were nationally ranked in fighting and won a combined total of 800 trophies. With over a hundred state and national titles to his credit in both forms and fighting, many of his students have also gone on to successful competitive careers. Even though he weighed in at the top of the middleweight division, he always fought as a heavyweight. His teammates and sparring partners were the likes of "Monster Man" Everett Eddy, Johnny Lee, George Reynolds, Willy Adams and Robb Hogan. In competition, he had beaten some of the best fighters in the nation at that time; fighters like Jeff Smith (7-time World Light Heavyweight Karate Champ, Black Belt Hall of Fame); Ken Knudson (1971 Grand Champion Gold Cup, 1972 Top Ten Nationals champ, over 100 Champ titles); John Natividad (Tang Soo Do stylist, member of Chuck Norris' Championship Black Belt Team, world rated fighter, US Championship Karate Team member); Glenn Keeney (PKA & USKA member, Black Belt Hall of Fame member, founder of the PKC) and more. When Grandmaster March and John Natividad fought on the Redondo Beach Pier, Grandmaster March won the match by one point, but his Detroit All-Stars team lost by one point in a very close match. 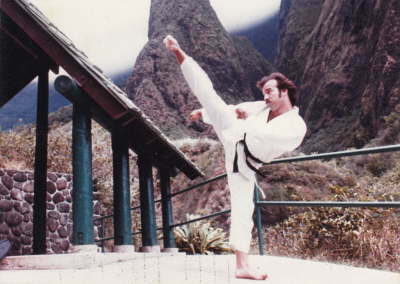 Master March was also a guest fighter with the Ohio Karate Institute Competition Team at Jhoon Rhee's Grand Nationals in Washington D.C. and has been featured in magazines of the time like: Professional Karate, Summer 1973, Spring & Summer 1974, and the Great Lakes Region's Top 10. 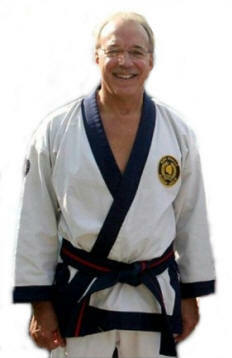 Grandmaster March is a skilled Martial Artist who is also a gifted instructor. His skill and teaching style inspire all who train with him. He openly shares all he has learned with his students and will unselfishly guide them forward to their goals. He went on to be the founder and President of United States Korean Karate Association, an organization that is still active today. Many of his students who have opened up clubs of their own are members of the USKKA. Master March's vision for the USKKA was (and still is) to promote the highest standards of physical and mental performance and discipline while training and teaching traditional Tang Soo Do the way it was taught by Grand Master Hwang Kee himself. Master March has trained with and has been promoted by Grand Master Hwang Kee personally, so he knows from first hand experience what the late Great Grandmaster's standards of excellence were and what Tang Soo Do stands for. A retired school Principal, Grandmaster March's professional accomplishments include a Bachelor's Degree in Education with majors in Biology and Physical Education, and Master's Degrees in both Educational Leadership and Physical Education. He continues to teach at Mike March's Korean Karate and personally trains under Grandmasters Kang Uk Lee and Chung Il Kim. On November 22, 2014, Master March was promoted to 8th Dan by Grandmaster David J. Praim.